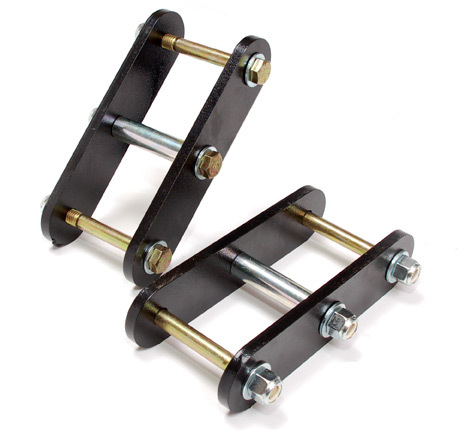 Lift shackles are constructed of 3/8" thick steel. All corners are rounded to avoid interference problems. New grade 8 hardware is included with each shackle lift, along with detailed instructions. Sold in Pairs. Fits 87-96 Jeep YJ models. Gain up to an extra 1" of lift. Allows for greater off-road clearance. Rounded corners to avoid interference problems.